Anna Centenary Library conducts Orientation Program for Competitive Exams Aspirants on every Sundays. This week Dr.S.Balachandran, Director (Sc. 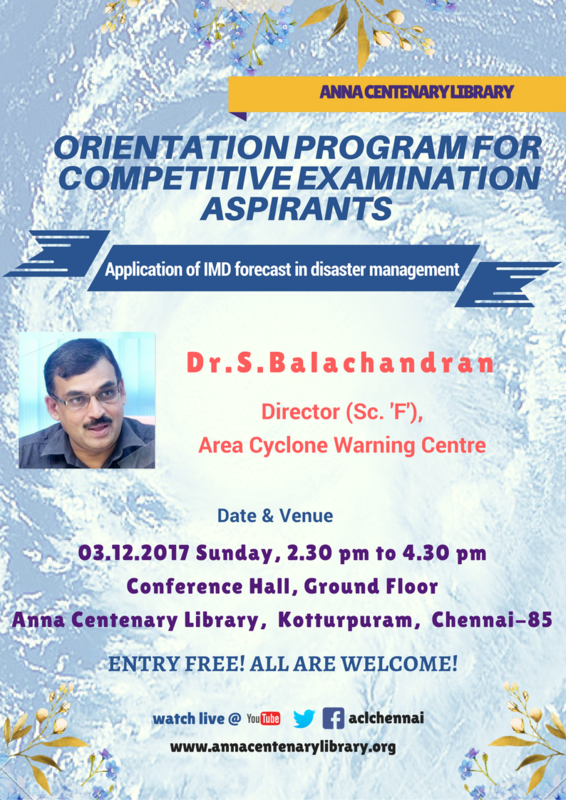 'F'), Area Cyclone Warning Centre, will be the resource person on 03rd December, 2017 at 2.30pm to 4.30 pm . Entry Free! All are Welcome!..